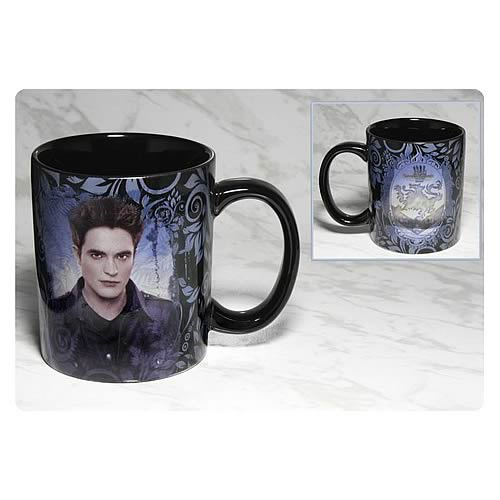 Drink your morning coffee like a brooding vampire with this Twilight Breaking Dawn Part 2 Edward and Crest Black Mug! Robert Pattinson's Edward Cullen is on one side of the mug while the Cullen family crest is on the other. Check out the cool purple design on this Edward and Crest black mug! Ages 14 and up.